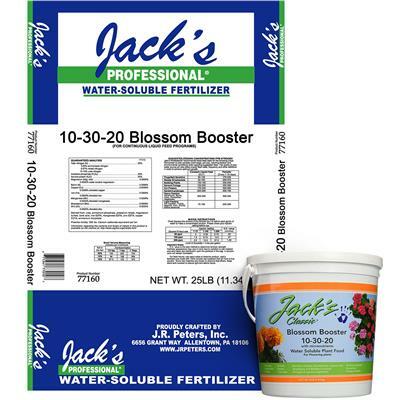 Easily and accurately applies a consistent rate of soluble fertilizer to your lawn, garden or greenhouse plants. 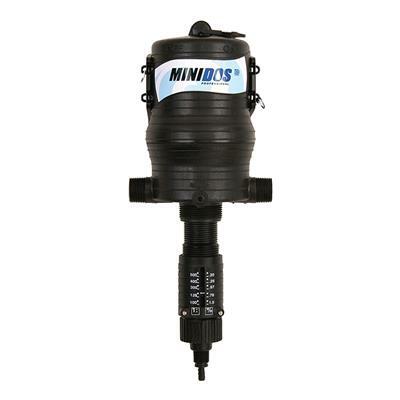 Attaches to standard hose fitting and offers built-in back flow prevention should pressure fail. Brass body ensures durability and spring filter eliminates clogging. Made in the USA. Easily and accurately applies a consistent rate of soluble fertilizer to your lawn, garden or greenhouse plants. Attaches to standard hose fitting and offers built-in back flow prevention should pressure fail. Brass body ensures durability and spring filter eliminates clogging. I have used this for many years and have found it to be simple but effective. The main pitfall I've encountered is that the suction tube can be easily blocked. I used one today that I have had for about 15 years and it did not draw anything through the suction tube at first so I took a compressed air gun and cleaned everything well (took about one minute). The device worked just fine after that. I have purchased two Hozon siphon mixers. Supposedly there was an improvement in design by making a hole inside of the siphon larger. 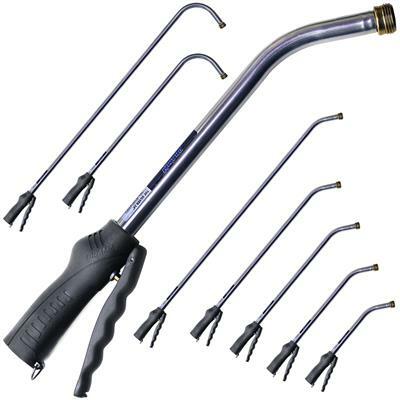 I have tried everything from reading the directions, to using recommended hose end attachments, to every trick recommended by customers and employees to no avail. Also tried a 3/4 inch hose. No help. It worked a little, but sporadically at first, and nothing since. My water pressure is 64 psi. This venture is getting expensive. I bought this to syphon liquid fertilizer from a bucket connected with my hose. It just doesnt do the trick. I used to run fish emulsion with a previous product and it worked just fine. This one will not deal with any sediment at all. Worked perfectly, happy with the purchase. Complete dud. Nowhere near as good as the original Hyponex from 20 yrs ago. Ended up buying a plastic siphon mixer at my local nursery, which works great. Go figure. Excellent product with excellent customer service from the manufacturer.Product shipped very quickly, extremely happy with the purchase. great product, good customer service. Ijust received it and have not tried yet.But very pleased with your service and delivery. Usual Chinese crap. The anti syphon ball in all four units that I bought ,all leak water back into your solution within two weeks. When are we going to make quality products again in the US? I miss the old days. 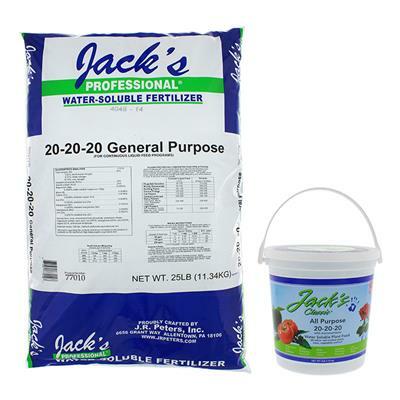 Great product for getting fertilizer and other additives into your watering regimen. If you know what you are doing with this attachment then you have no issues. Low water pressure and no back pressure are all you need to know. Unable to get siphon to work. 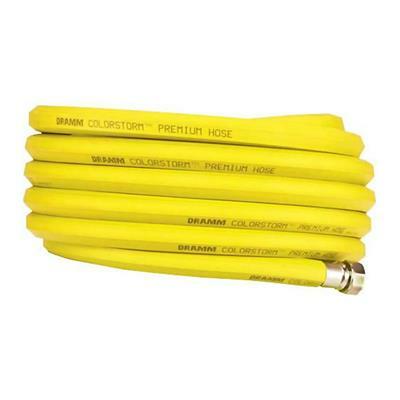 Have tried at middle of hose and at end beside sprinkler. There is no obstruction in mixer and pressure of hose is good...disappointed! Backyard tree has many hanging baskets of Epiphyllums 6 to 10 feet from ground. Fertilizing was a BIG problem. Bought siphon & 48 90 degree water wand last year & -voila- no longer a problem. Only gave 4 stars as the siphon *will* get plugged (grrr) but that's always been fixable with cleaning (and some lung power). This has been a professional horticultural standard for decades. Reviewers who gave it a bad review just do not know how to use it. As a professional horticulturist, I've been using these for years with good result. 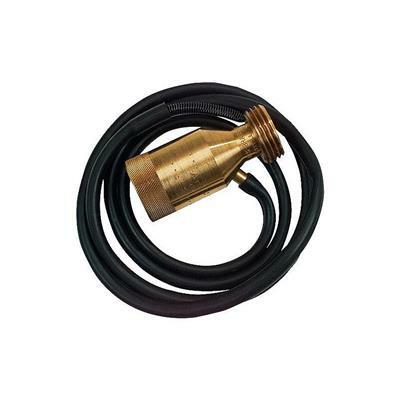 For full function you can not have any back pressure on the end of the hose or the siphon won't work. You can use a wand with a bubbler head, but anything else that impedes flow will cause poor results. The manufacturer provides very scanty information on how to get the best performance. After using several of these I have found that the ability to siphon the fertilizer solution is highly variable and at times it doesn't work at all. I wanted the Hozon Siphon Mixer so I could gently water my orchids and mix in some fertilizer at the same time. However the fertilizer failed to be drawn thru the mixer. It seems as though the stream of water needs to be more forceful in order to siphon the mixture and that would damage the plants. This will not work for me. Not happy with this unit. 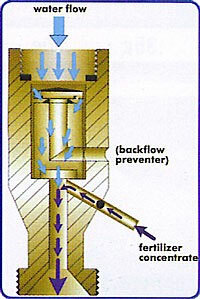 The flow is water flow is too restricted by the unit that cannot use a spray nozzle effectively. Using it for a drip line does not generate enough differential pressure to draw the fertilizer out of the container. May be great in certain applications, but not for me. Will not purchase another one. this is inexpensive and works great.People should realize there is a maximum flow rate that can go through the orifice. It appears to me to be about 4-5 gal per minute.I changed the orifice sizes in my Rainbird sprinkler heads and now I can use 3 sprinklers to feed fertilzer or calcium to a large garden area. SURE beats walking around with a hose-end sprayer attachment on a hose. I can't get it to work. It seems as though it is not pulling any water through the rubber hose!! Love the ease of this product! I just pre-mix my various fertilizers and bug sprays and place them into small buckets with lids that have a 5/8 hole in them. I drop the feed (suction) hose into the appropriate bucket and evenly spray my trees, shrubs, flowers and lawn. Very Handy! I have been using a Hozon for 30+ years. This product has always been an inexpensive way to dispense fertilizer to a large quantity of plants. My only complaint with it is that the manufacturer has stopped using a stainless steel filter spring at the intake part of the siphon making it necessary to replace the filter spring every couple of years. These things can last forever except for the cheap spring that is being used now. Cheap, easy, long lasting product. I agree with previous reviewer, even with the water pressure on high this product reduces it to a level perfect for watering plants. Sometimes even wish I could get a little more pressure! We use this product on bedding plants at our nursery and love it. Why pay hundreds when this does a great job for less than 20. A previous review was entirely in error about the Hozon. I have used this product since the 1970s in greenhouse and gardening use, and it is the best product imaginable for applying liquid products of any kind. I use it mostly for Miracle Grow fertilizers. The previous reviewer read instructions but obviously did not try the product. 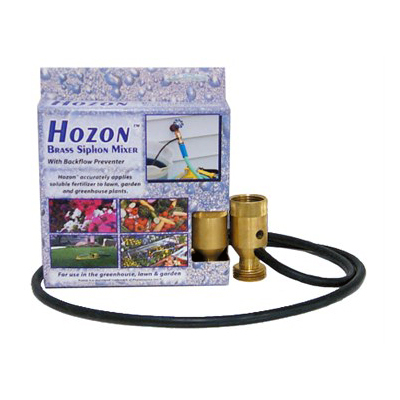 His/her concern about the hose being run wide open is moot because with the Hozon attached, the max volume is very good for watering plants in a greenhouse. I do it all the time. The Hozon Brass Siphon Mixer is not suited for greenhouse use. In the operating instructions printed on the box it says works best with a completely open nozzle. 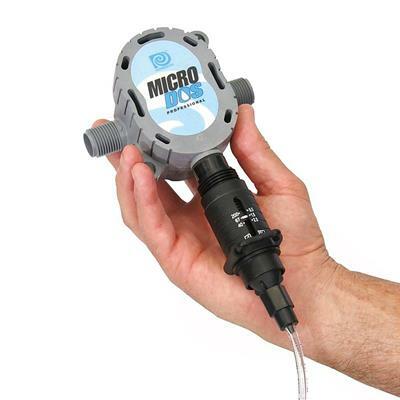 It goes on to say If the hose is partially clogged, crimped or connected to a device that is too restrictive of water flow, the siphon may not draw up the concentrated solution. Full blast from a hose won't work on any plants! It is completely useless for green house or garden use.